My friends at Rump•a•rooz have been very busy manufacturing some new surprises for our babies and tots. 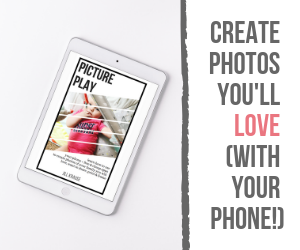 During last week’s ABC Kids Expo they finally revealed pictures of some of the products they talked about during their last Twitter Party. Here are a few of my favorite images that they shared with us over on Facebook at the end of the Expo. Above you can see a few different sizes and styles of wetbags – all with coordinating prints and solids to match their adorable G2 one-sized diapers. From the pictures it looks like they have the smaller ones with zippered closure and some larger ones with drawstring closure. The zippered ones would look great in a nursery and would keep that diaper smell away! This next picture is very exciting for anyone on a budget – the all new Rump•a•rooz diaper covers. If you can’t afford the G2 one-sized diaper but want to experience the great prints that Rump•a•rooz offers I’m sure these diaper covers will have an appealing price tag when they are released. What could possibly be any cuter than coordinating baby and baby doll diapers? Yes, that is really the Eco-Owl print on a baby doll. If your little girl is anything like Lil’ B she will be super excited to put a cloth diaper on her baby doll. I sure hope these come out by Christmas because Lil B’s doll is not wearing any diaper at the moment and REALLY needs these! Looks like they come in all your favorite colors and prints. Retailers (like Kelly’s Closet – affiliate link) are already carrying the two new Rump•a•rooz prints; Eco-Owl and Robotronics. Our Eco-Owl arrived about a week ago and I haven’t had an opportunity to snap a photo of Lil’ B in it yet. The Robotronic we received is going to be a baby shower gift tomorrow night for a friends baby boy – this will be her second baby in cloth and she doesn’t own any Rump•a•rooz yet. I can’t wait for her to get hooked on these! Do you have either of the new prints yet? Which of the new products are you most excited about? Did you know there are still more new products coming? It’s going to be like Christmas all year round at Rump•a•rooz. Do you know if the covers will come in a newborn (Little Joey) size? 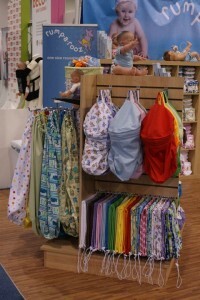 I have been planning to buy some Little Joey AIO’s, but will rely mostly on prefolds & covers. I would love to get some Little Joey covers if they aren’t too costly. Thanks! Oh…and my baby will be arriving right around New Years. Any idea if I would be able to get the covers in time? I have to admit when I read this post I thought I was going to see you at my shower. I felt like I had peeked at a present ahead of time. But, alas, you were not there. Thanks for sharing about the new fuzz at Rump-a-rooz.